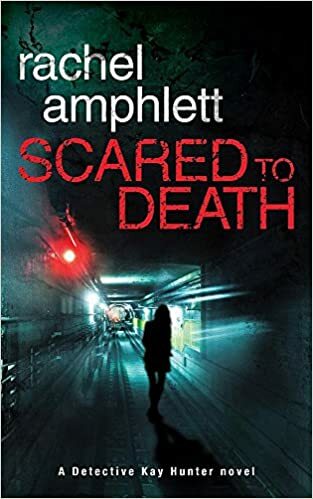 I’m delighted to welcome Rachel Amphlett to the blog on what is an exciting day for her – publication day for her latest novel, Scared to Death. (You can order a copy online here) Rachel has kindly agreed to answer a few questions about herself and her work. So lets find out more about her. First of all Rachel, would you tell me a little about yourself? I’m originally from the UK, and I’m currently living in Brisbane Australia. Scared to Death is the first in the new Detective Kay Hunter series – a detective with a hidden past, and an uncertain future. When the body of a snatched schoolgirl is found in an abandoned biosciences building, the case is first treated as a kidnapping gone wrong. But Detective Kay Hunter isn’t convinced, especially when a man is found dead with the ransom money still in his possession.When a second schoolgirl is taken, Kay’s worst fears are realised. As usual, it was something one of my characters said. I’ll always have working titles for whatever project I’m currently writing, but it’s often not until I’m halfway through that I’ll be writing some dialogue and the title will pop out of that. I’ve learned not to panic over the years if I don’t have a title to start off with – I know by the time I get to the end, something will work. Absolutely – I’m currently writing the second in the Kay Hunter series, and I’m plotting out books three and four. I had a couple of sleepless nights reading Mark Edwards’ Follow You Home – the beginning of that one is something that definitely shouldn’t be attempted at night <shudders>! I was thankful I’d started reading it at the end of a week, as I completely lost myself in the story over a whole weekend. Robert Bryndza’s Dark Water and Angela Marsons’ Blood Lines – I pre-ordered them the day they were released as I love both the protagonists in these series. I tried to make them last, but zoomed through them as usual. Can’t wait for the next ones. 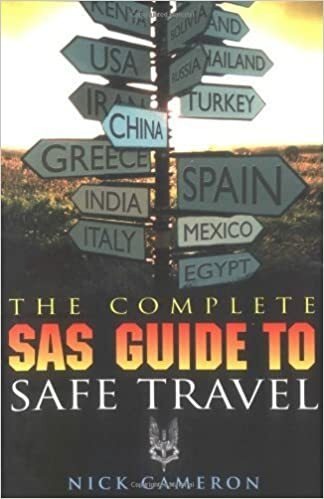 The Complete SAS Guide to Safe Travel by Nick Cameron. I have it on my bookshelf here for research purposes for my espionage books – it’d probably come in useful on a desert island! Great question! I’d pick Darby Shaw, from John Grisham’s The Pelican Brief – although I’d hope my research never got me into that sort of trouble!